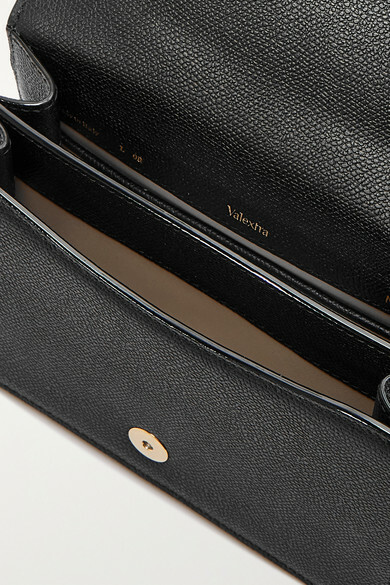 Even though Valextra's bags are crafted by Italian artisans using traditional saddlery techniques, they still feel so fresh and contemporary. 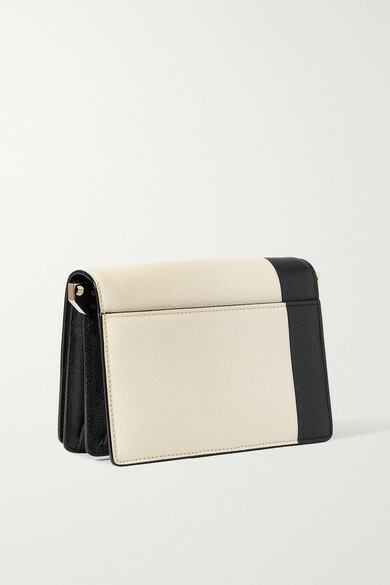 This modern art-inspired 'Swing' style is made from hard-wearing textured leather that's color-blocked with a black panel at the front. 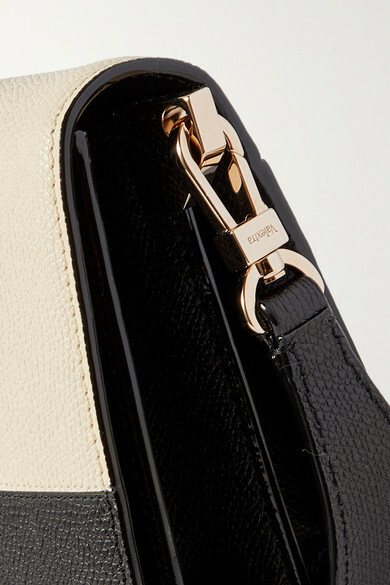 The accordion silhouette is topped with a guitar strap and it opens to a divided interior that makes it easy to organize all of your daily essentials. Shown here with: Joseph Dress, The Row Mules, Grace Lee Ring.